THE BEST MEN'S RAIN BOOTS | muted. If you’re looking for the best men’s rain boots you can buy, look no further. We’ve got a selection of boots that very well may be the best on the planet. These rubber boots will keep you dry in the wettest of weather. We also offer a number of boots that feature some nice perks. A number of the boots on the list are insulated rubber boots that will keep you nice and warm in even the coldest of weather. We have some rubber work boots that are great for the outdoorsman or even the guy who has to deal with muddy farm work. 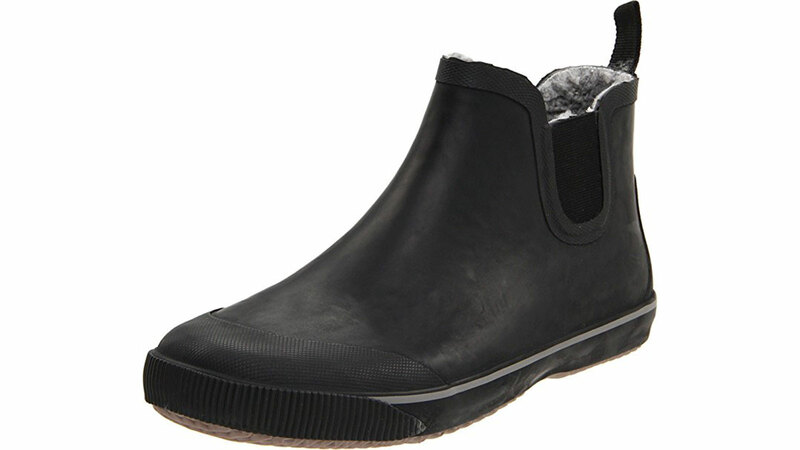 We even have a men’s rain shoe for those everyday tasks when you just need something to throw on quickly. First up are probably the best all around rain boots on the list. These guys can handle the wettest of wet, the coldest of cold and the iciest conditions you can throw at them, The Bogs Classic High Men’s Rain Boot. 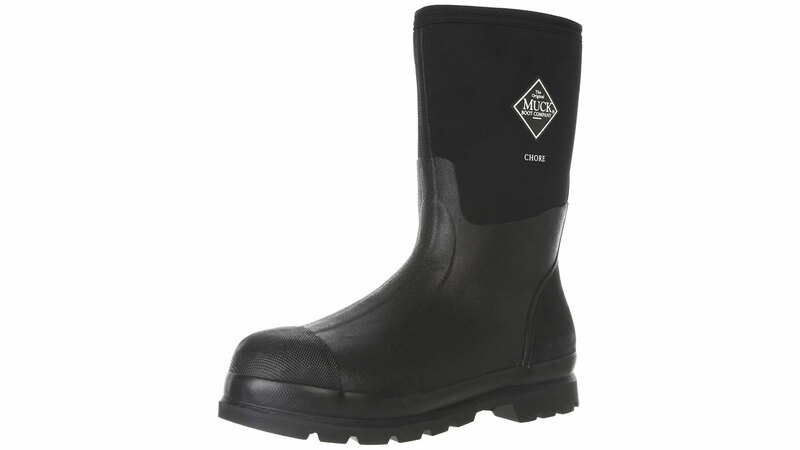 Men’s Insulated Rubber Boots. These aren’t your dads rain boots. The Bogs Classic High Rain Boot ($120) are not only 100% waterproof, but they’re also an insulated rubber boot that’s rated to keep you warm to -40-degree! These might be the perfect all around boot. Offering protection from both rain and extremely cold weather. The boots feature uppers made from 7mm SRB laminate, that sit on a non-slip rubber outsole. On the interior, you get a full-length removable, contoured, water wicking EVA sock-liner that reduces heat build-up and eliminates odor. So whether you’re trekking through wetlands, snow, or ice the Bogs will keep you on your feet and dry. The Kamik Icebreaker Men’s Rain Boots ($65) not only keep your feet nice and toasty, but they also keep them completely dry. 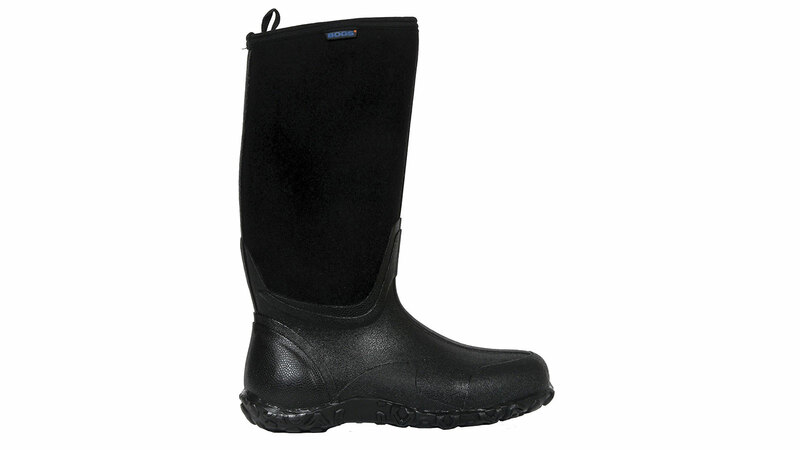 The boot features a lightweight synthetic rubber upper with adjustable waterproof nylon collar. If you’re going to be using these in the snow, then you’re also in luck because the Icebreakers include a recycled 8m Zylex liner that wicks away moisture leaving you completely warm and dry. The soles of these boots feature lugs that are self-cleaning and in combination with the synthetic rubber outsole you’ll have traction in even the sloppiest or iciest of conditions. Men’s Rubber Work Boots. If you’re looking for a rain boot that can handle a heavy workload and take a beating then these are the guys you want. 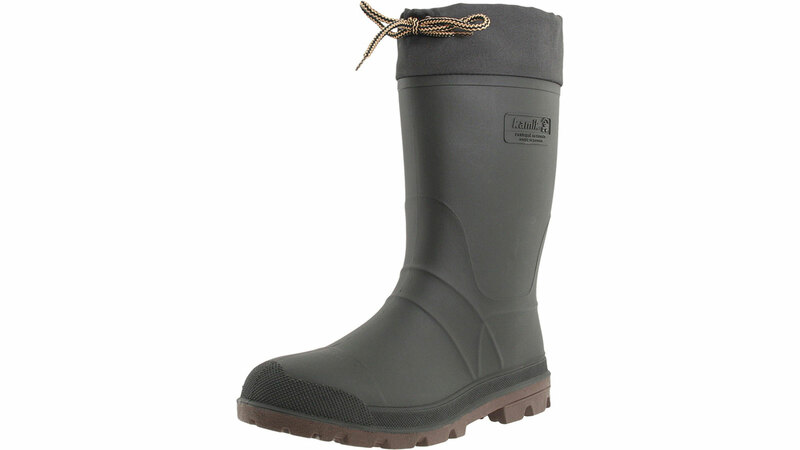 The Original MuckBoots Adult Chore Mid Men’s Rain Boot ($80) feature a 12″ shaft that is waterproof, soft, and flexible. On the interior, you get breathable air-mesh linings. The whole kit sits on a slip-resistant rubber outsole. The thing that sets these boots apart from competitors is its extra wide heel that provides additional stability and comfort. So if you’re an outdoorsman or work in sloppy conditions, these are the boots for you. If you’re looking for a taller boot there is also a MuckBoot Hi-Cut ($105) version with a 16″ shaft. Every suburban soccer mom has a pair of Hunter rain boots. But you probably didn’t know they make a boot for men as well. 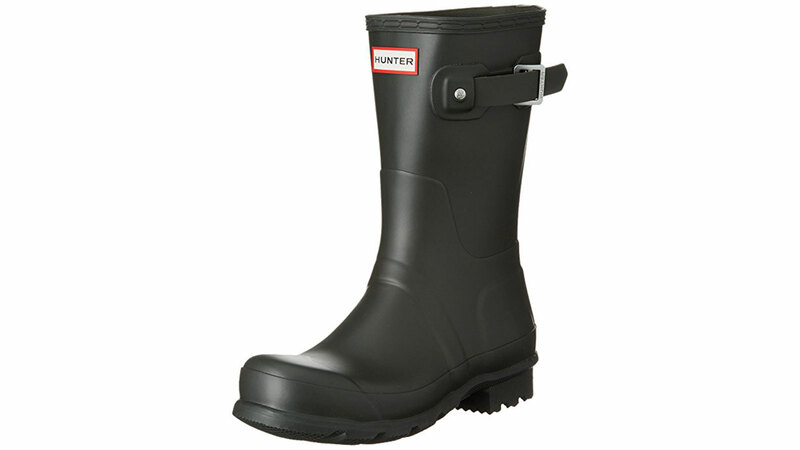 The Hunter Original Short Men’s Rain Boot ($100) is perfect for those rainy days. These boots don’t have the cold weather protection offered by some of the other boots in this guide, but they’re a perfect everyday boot, that you can just throw on a head out the door in the wettest of weather. The boots 100% rubber and features adjustable buckles on the shaft and lugs on the outsole to keep you upright in slippery conditions. Men’s Rain Shoes. Sometimes you just need a shoe you can throw on to walk the dog, head to the corner store, or take the garbage down to the curb in rainy conditions. The Tretorn Men’s Strala Vinter Rain Shoes ($60) is the absolute perfect rain shoe for everyday use, even when it’s not raining. It is about 4.5″ high, and is made with a rubber upper. To help with putting the shoes on there’s a help loop to make life easier. The interior of the boot features a thick sherpa lining for extra warmth just in case you need to step out without any socks.